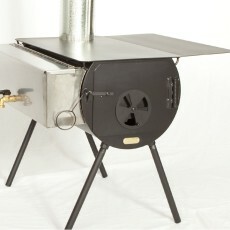 The Cylinder Hunter Stove is the most popular stove. 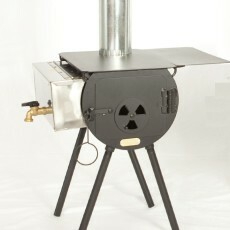 It is just the right size, weight and heat output for the average camp. 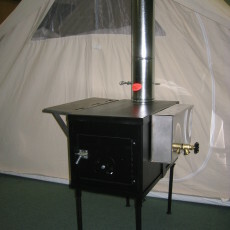 This stove is 24″ L x 14″ W x 11″ H, 22″ Tall with legs. 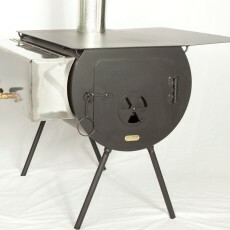 This stove is good for tents 10×12 to 14×16 and it will hold heat for 8-9 hours.